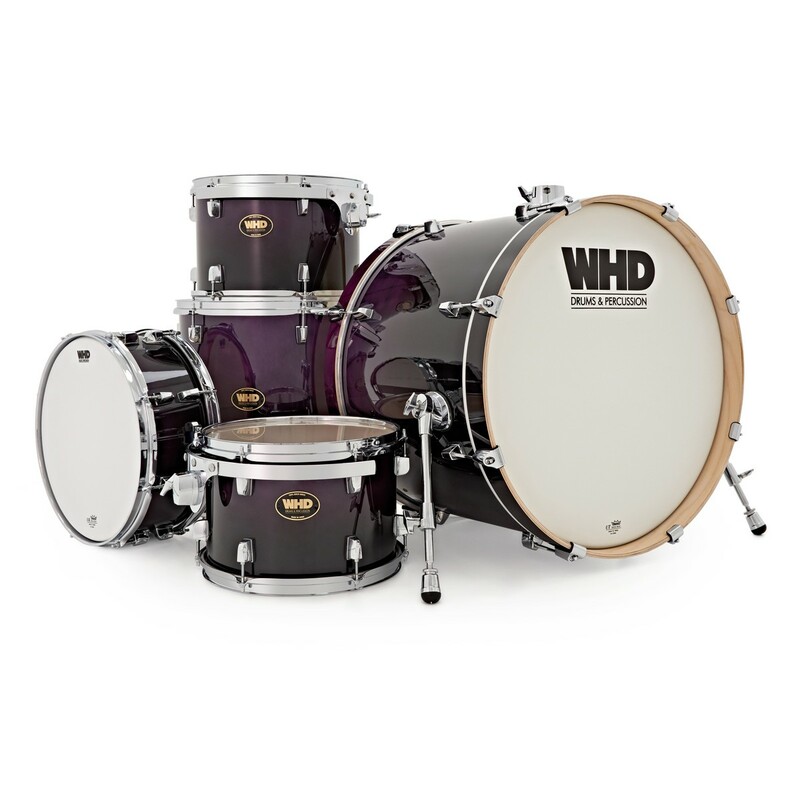 The WHD Birch 5 Piece Rock Shell Pack, Purple Fade is part of the new Birch Series from WHD. With features normally reserved for a higher price bracket, this kit has 6-ply birch shells, 1.5mm flanged drum hoops and Remo batter drum heads, allowing ambitious drummers the opportunity to own a high specification kit at an affordable price. 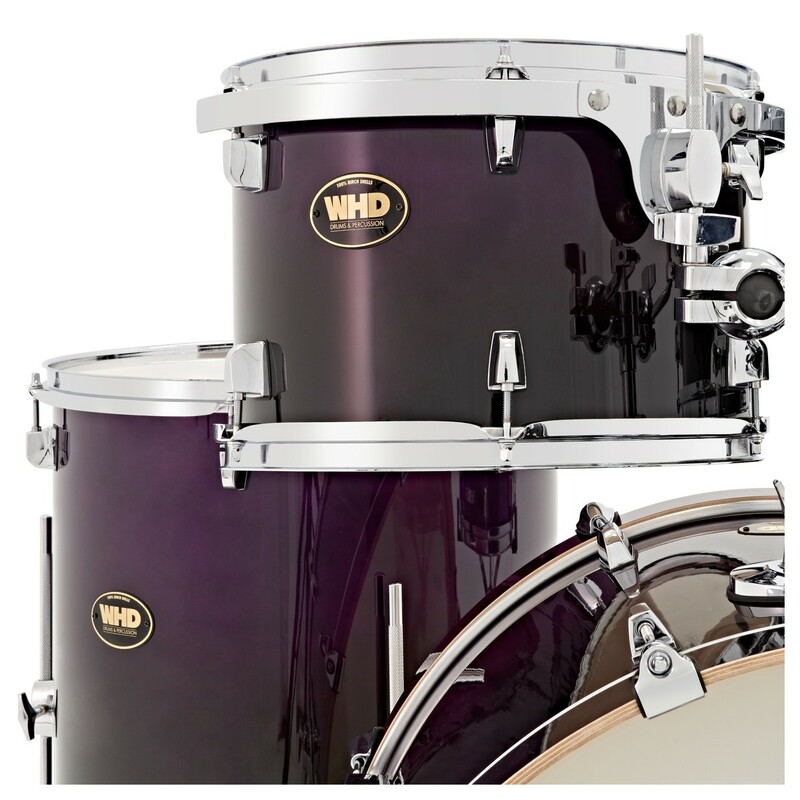 The WHD Birch 5 Piece Rock Shell Pack, Purple Fade has a range of features that you would normally find on more expensive drum kits. The shells are made from 6-ply birch, which produces a loud, cutting tone that boosts the high frequencies whilst maintaining a good, low-end punch. 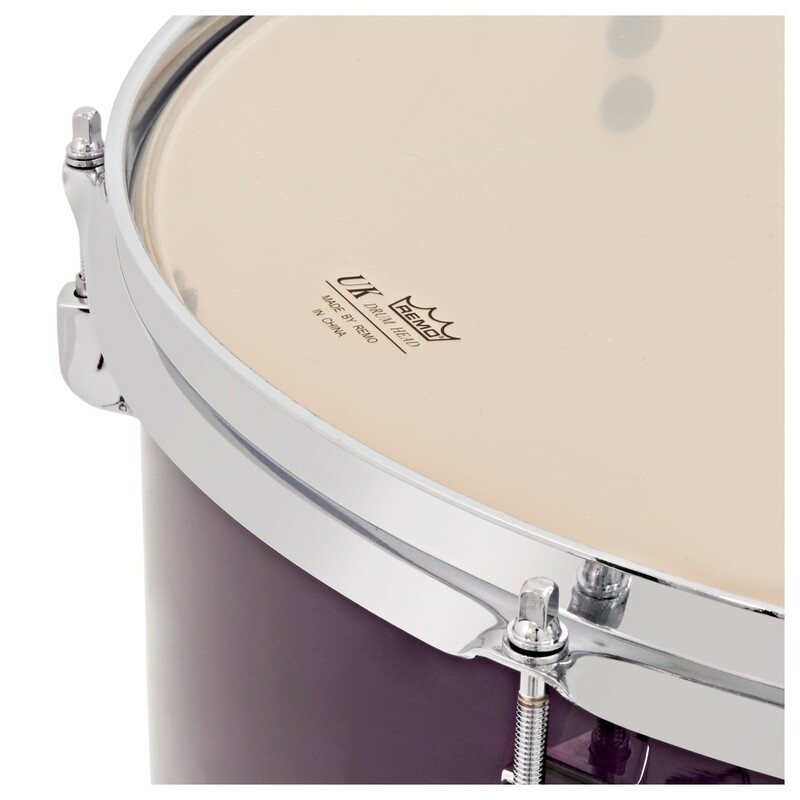 The 14'' x 5.5'' snare drum has a coated Remo UK batter head, while the toms and bass drum come supplied with clear Remo UK batter heads, all of which are held in place by 1.5mm triple flanged drum hoops. The tom tom drums are mounted to the kit by a suspension mount attached to the drum's lugs. This means the shell remains an entire piece of wood and produces a sound that has a greater resonance and long lasting sustain. The triple flanged hoops allow the Remo UK batter heads to vibrate more freely, adding further sustain to the open, colourful tone of the drum. 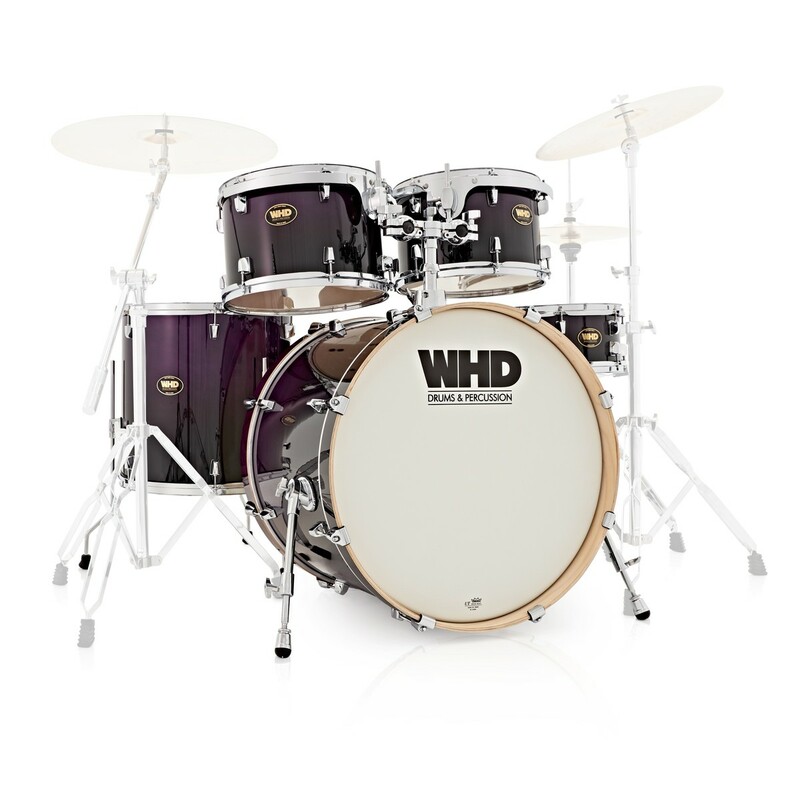 The WHD Birch 5 Piece Rock Shell Pack, Purple Fade is a classic, rock drum configuration, with the larger sized drums offering an improved low end response. Its lower, heavier tone make this beautifully finished shell pack perfect for rock, indie and metal music. 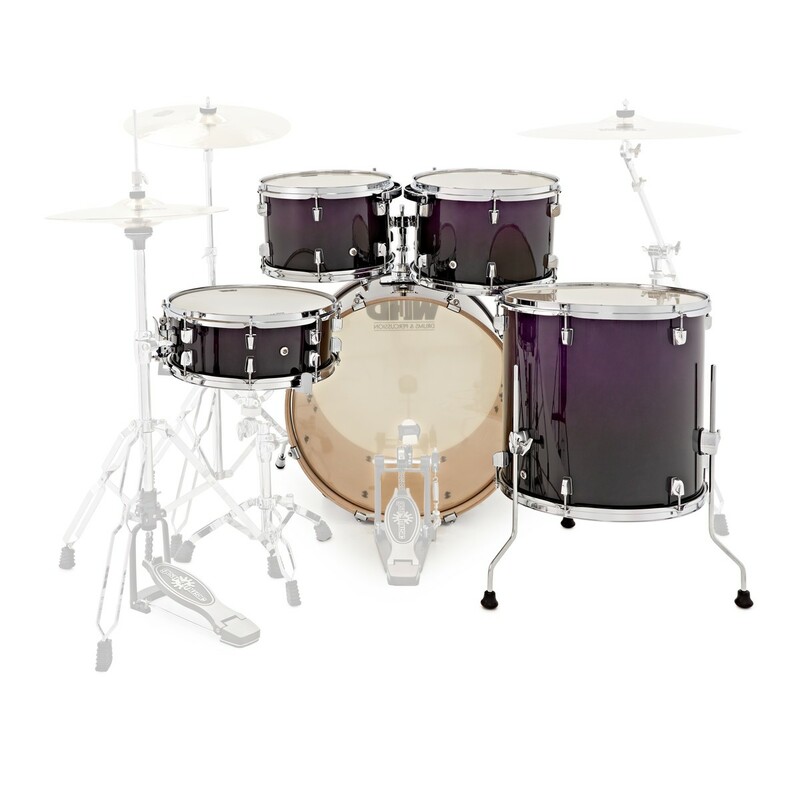 Tom Tom 1: 12" x 8"
Tom Tom 2: 13" x 9"
For a kit featuring a full set of hardware, please click here: WHD Birch 5 Piece Rock Drum Kit, Purple Fade. For a complete drum kit including a full set of hardware and a set of WHD Pro Cymbals, please click here: WHD Birch 5 Piece Rock Complete Drum Kit, Purple Fade.